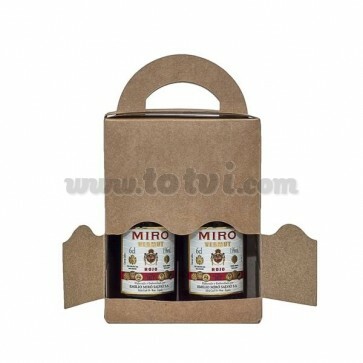 Beautiful detail for weddings, baptisms, communions or any other type of event composed of two bottles of Vermut Miró (Black and White) with which to surprise your guests. 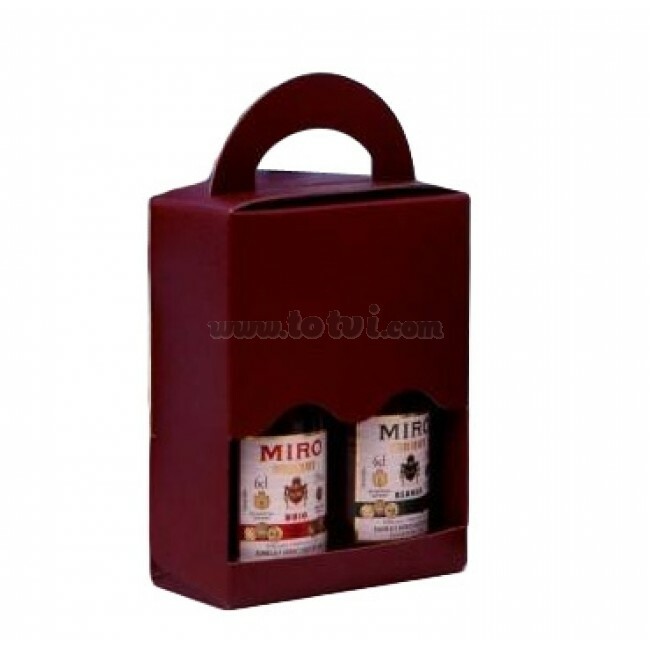 Case with die-cut handle and window where you can show the products that are inside. Available in Kraft (brown / cardboard).